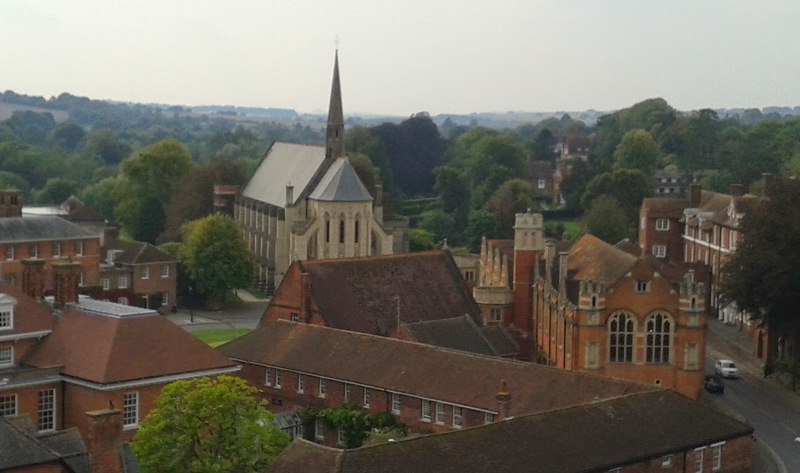 Another sunny day for our second trip to Marlborough College. now confirmed as a contemporary of Silbury Hill. We then walked throughout the Rose Garden up the steps to the Chapel. 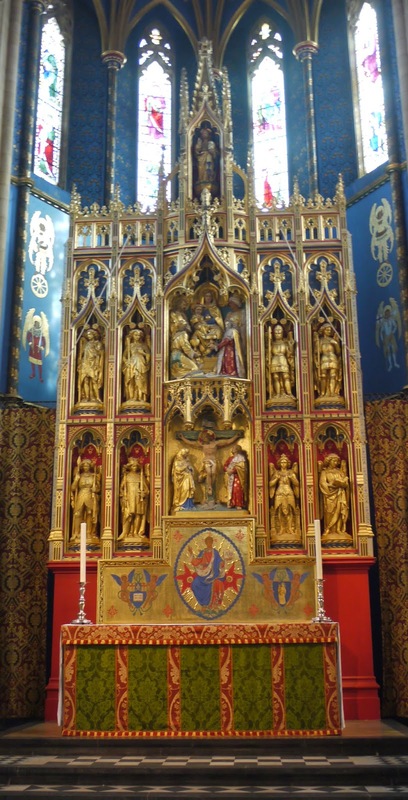 This amazing painted reredos may seem a bit high church for an Anglican school. 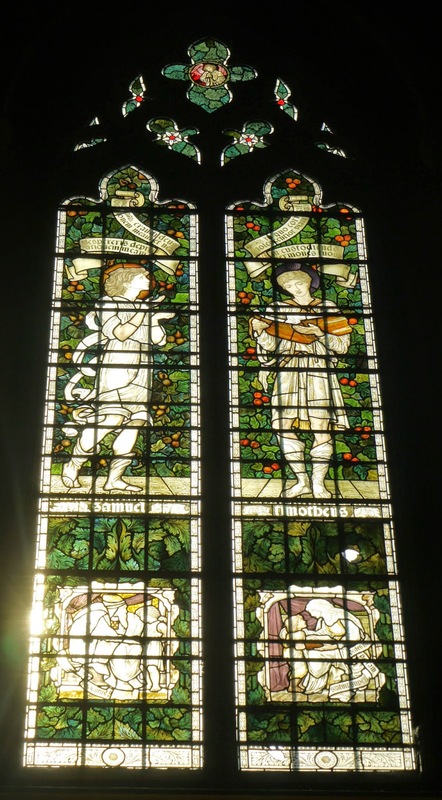 Bodley who Morris himself had worked with on his first stained glass project in Brighton. The Spencer Stanhope paintings are spectacular and have caused some amusement amongst the college students this one being referred to as 'the appendix operation'. 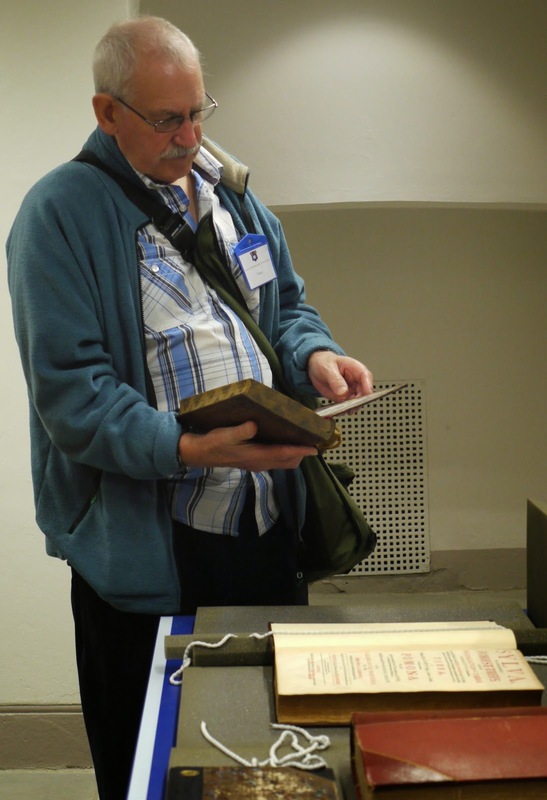 We then met Simon Mckeown, head of History of Art at the school, who took us to B house to look at a few of the books from the antique book collection. 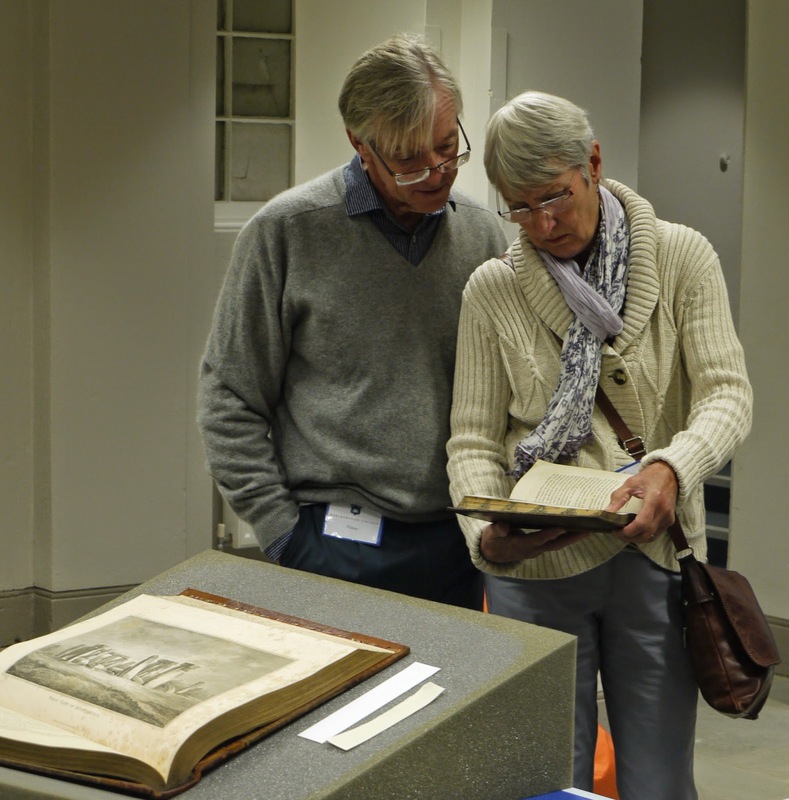 Including the works of antiquarians, William Stukely, Richard Colt Hoare and William Cunnington. 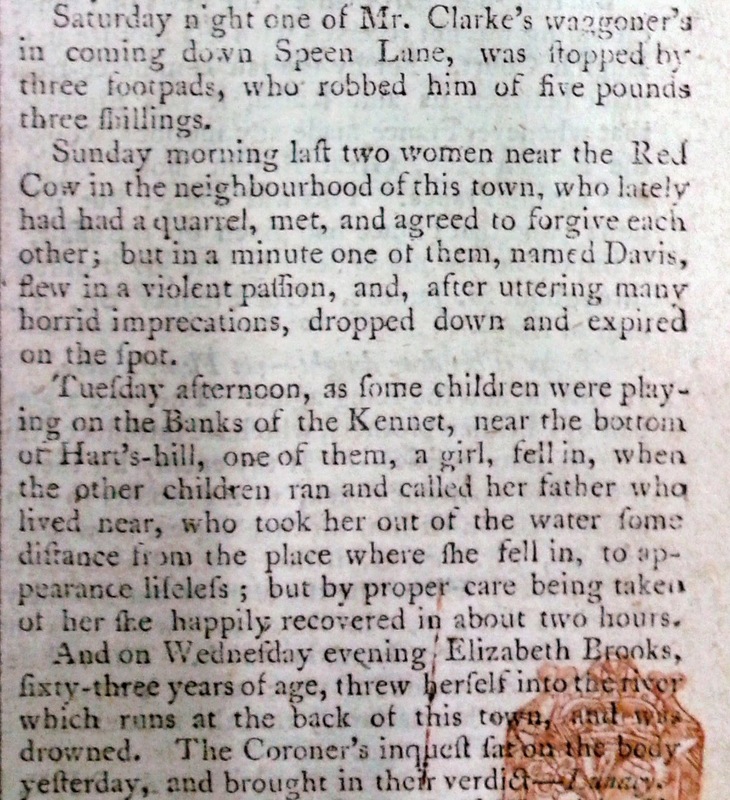 A lot to look at including a comprehensive collection of Marlborough newspapers from the 18th century featuring international and local bulletins. This was followed by a short walk to St Peters Church for lunch followed by a talk and tour of the tower by Jeremy York who will be giving us a talk in the new year on his time in Poland during the 1980s. 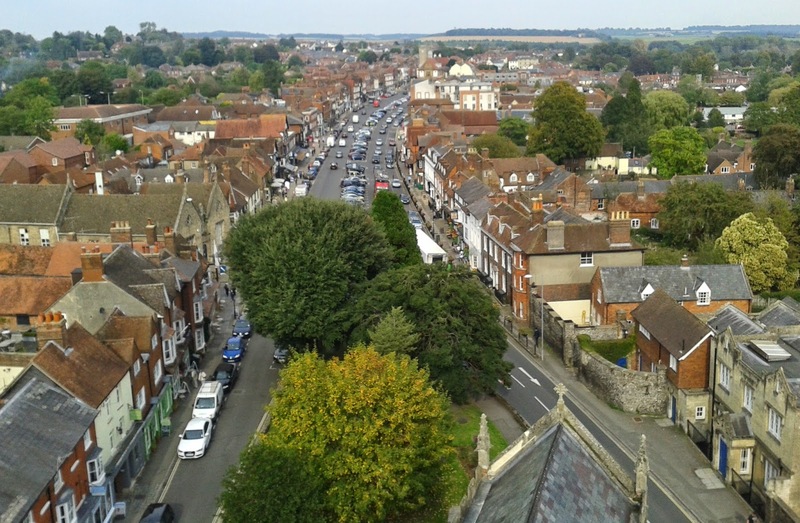 These views from the tower show the College chapel and the High Street looking East. It's a busy week next week for Friends events, sadly I'll miss them because I'm in New York, but in case you're available and haven't booked a place to go on the Marlborough College trip on Tuesday 23rd September, this is what to do. Please ring Paul Ricketts on 01672 539688, they are meeting at at church at the end of the High Street at 10.30am. 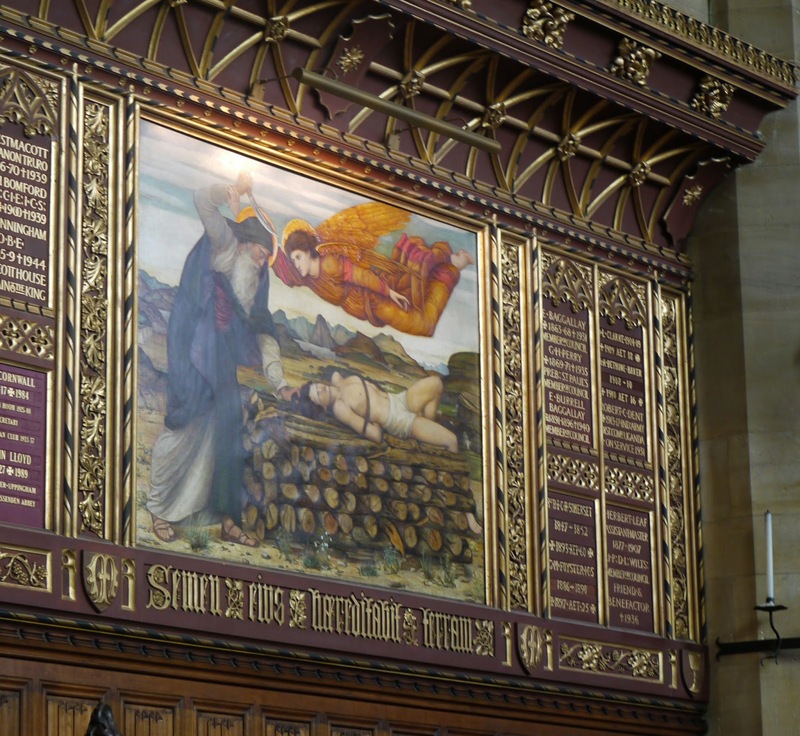 Above one of the paintings in the chapel: Spencer Stanhope's 'Abraham Entertaining the Angels. On Friday evening at the Museum and Art Gallery, there's a talk by Steve Marshall on 'Avebury Waterscapes', this popular, well known speaker will explain how the prevalence of water in the area led to early settlements at Avebury. The talk starts at 7.30pm,no advance tickets for this talk, just come along after 7.15pm and pay when you come in.